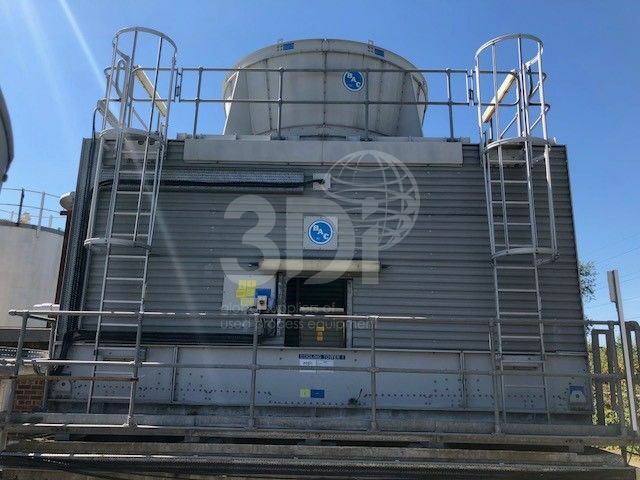 Used BAC Cooling Tower, model S3-D648LR, manufactured by Baltimore Aircoil International NV (BAC), 2007. Certified capacity: 95,6 litre/s of H20 from 36degC to 23,2degC at 21degC entering wet bulb. Fan motor 37kw, 1450rpm, 3phase, 50Herts, 415/720volts. Complete with fan control panel, steel supports, cooling water pump and control panel.